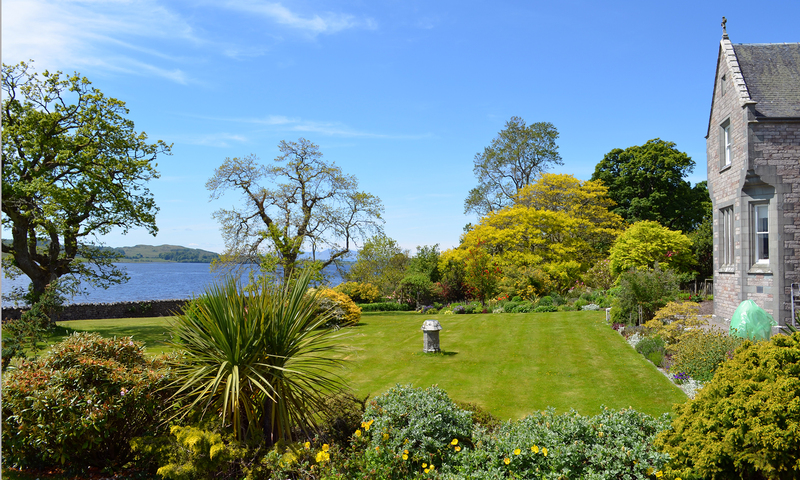 A garden has existed at Ardchattan for over 700 years, since Valliscaulian monks, from a little know order in Burgundy, first settled here, on the north shore of Loch Etive. Facing south, with spectacular views over Loch Etive, one can look east to Ben Cruachan and west to the hills of Mull, the monks chose their site well. The garden has a natural tranquility, today, the garden you see has been largely developed over the last 110 years by my father and grandmother, both keen gardeners; there are herbaceous borders, roses, a rockery, ornamental trees and a wild flower garden, to mention just some of the highlights. The monastic origins can be traced in the ruins of the monk’s chapel, accessed from the garden. These ruins, in the care of Historic Scotland, are also open to visitors, however the main house and the various cottages around the garden are private family homes. I do hope you will enjoy the garden and thank you for visiting our website.